Attoquant Diagnostics - More Than Just Data. Attoquant Diagnostics provides LC-MS/MS based peptide quantification services at premium quality. We are specialized in the biochemical characterization of peptide hormone cascades with a major focus on the Renin-Angiotensin-Aldosterone-System. In addition to the quantification of different functionally related angiotensin metabolite panels (RAS-FingerprintTM), we offer highly sensitive activity assays for proteolytic enzymes that are based on natural peptide substrates. We also support you in bio-analytical planning, sample measurement and data interpretation. Attoquant Diagnostics provides MORE THAN JUST DATA! 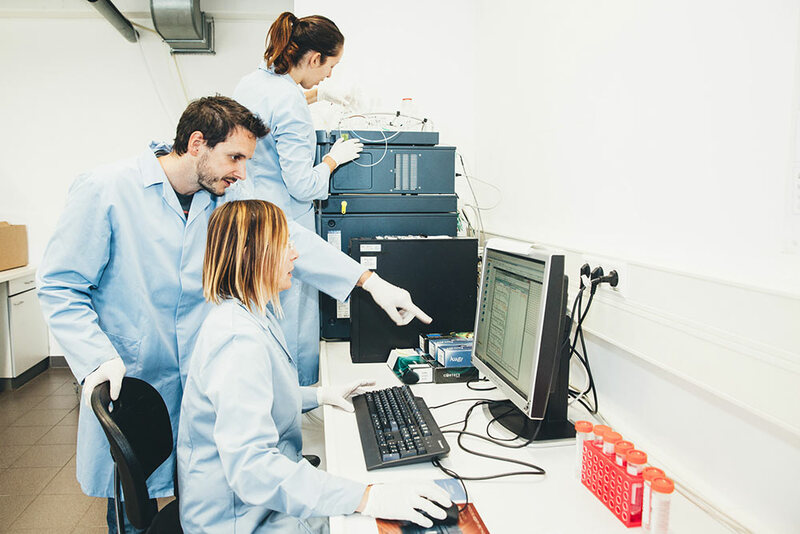 All our assays are based on internal standardized LC-MS/MS based quantification methods using highest quality standards in sample processing and data volume. In addition to the quantification of endogenous angiotensin metabolite levels in a variety of species and sample types, we offer highly sensitive enzyme activity assays using natural enzyme substrates and direct product quantification.